It's a rainy Wednesday morning in Cape May, good for our gardens and good for a chance to catch up on everything. There are still some monarchs in Cape May, though they'll be hunkered down in whatever shelter they can find while the rain falls. The last few days have seen modest numbers of monarchs around Cape May, but just about every garden has had a few hanging around and nectaring. 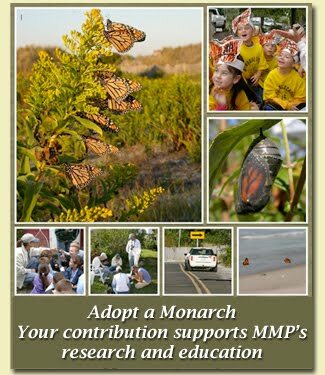 The season isn't finished; we will see monarchs trickling through Cape May throughout October, and another good surge of late migrants could arrive with the next cold front, due to arrive shortly after this rainy system goes away. Stay tuned!